It’s Pancake Day, officially, but remember everyday can be pancake day, and with these 15 delicious pancake ideas, you will make sure it is. 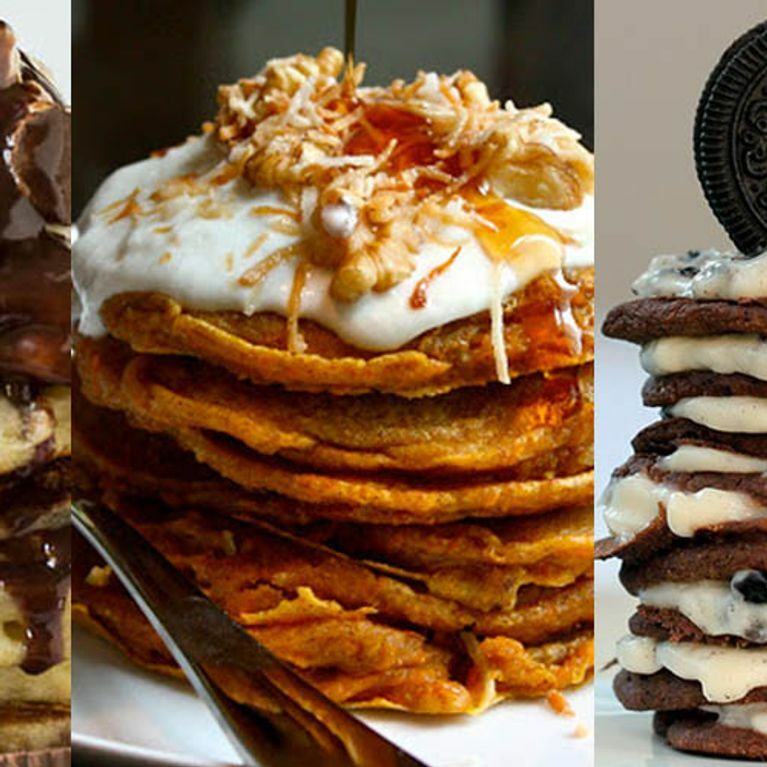 So to inspire you and also make you drool a little, we have put together pancake recipes you have to try. Flippin’ sweet. Pun intended, #sorrynotsorry. You read the name, it’s the blueberry pancake of your dreams, thick, full of blueberries and it taste so good. Here’s how to make it. We never want to come off this chocolate high. Get involved. Just give us a minute while we take this in. Check it out here. Not just a pretty face, it tastes amazing too. Here's how to make it. An upgrade to the bacon sarni. Here's how to make it. Pancakes so good, they can change your life. Here's how to make it. Whip yourself up some peaches and cream pancakes. And enjoy them knowing you did a really good thing for your protein intake. Here's how they'r done. Because good old fashion pancakes never fail. Get making it now. Moist, fluffy with a spicy warm carrot cake aroma? Yes please. Here's how to make it. Skinny, so it must be good for us. Right? Check out the recipe. 13. Chocolate Chip Lemon Baklava Pancakes with Salted Vanilla Honey Syrup. All this goodness in one dish. Here's how to make it. Breakfast or dessert, this is the perfect treat. Check out the recipe.